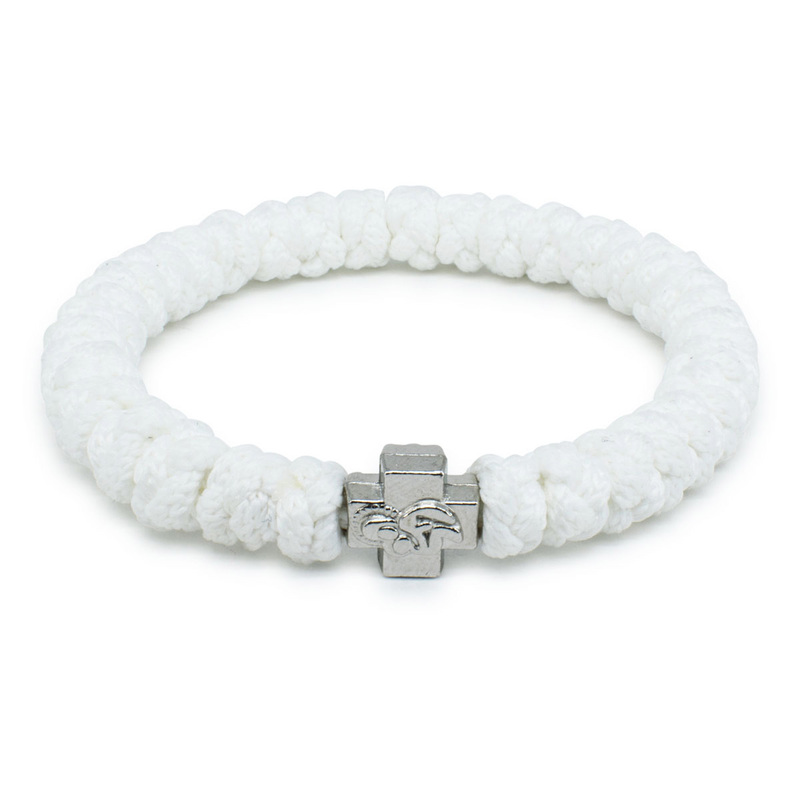 Handmade and authentic white prayer rope bracelet. 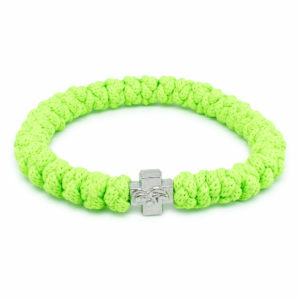 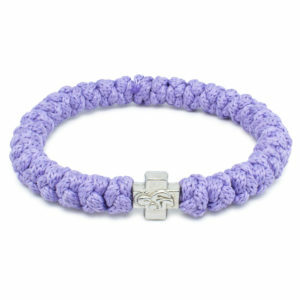 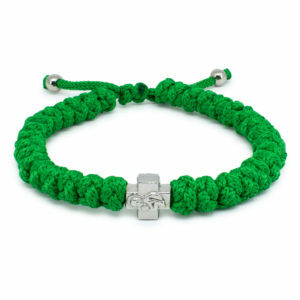 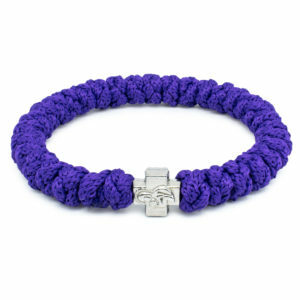 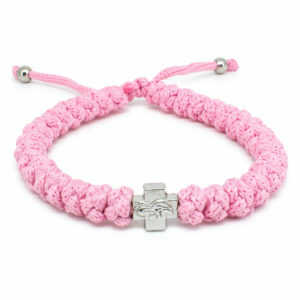 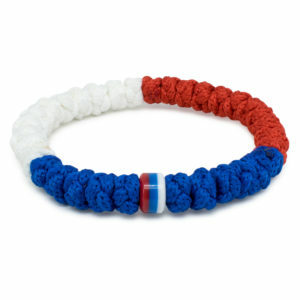 This bracelet has 33 knots and is made from non-allergenic rope. 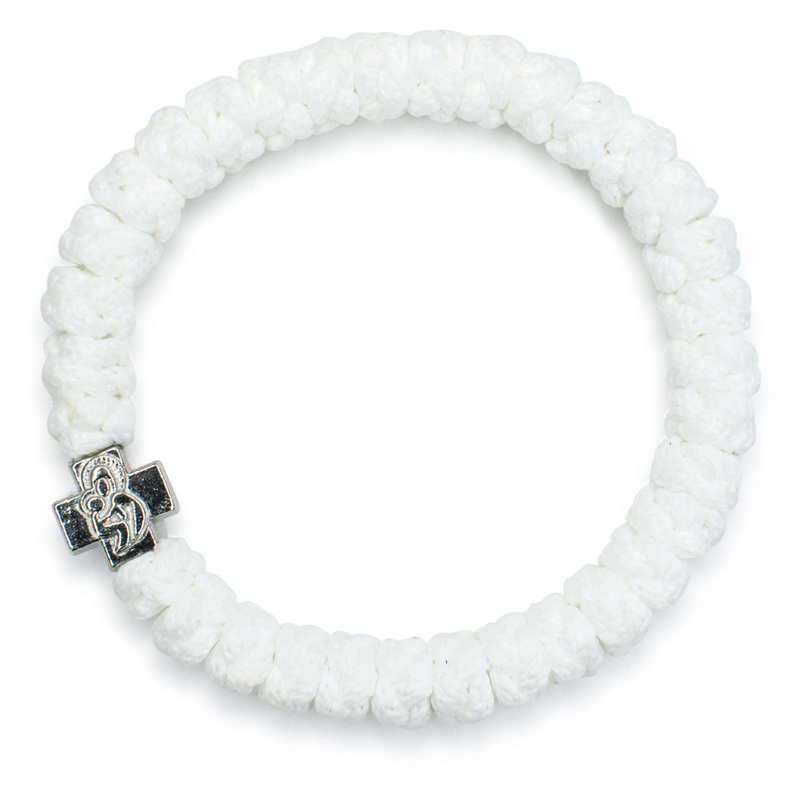 It has one metal bead with on one side the Virgin Mary and on the other a decorative cross.